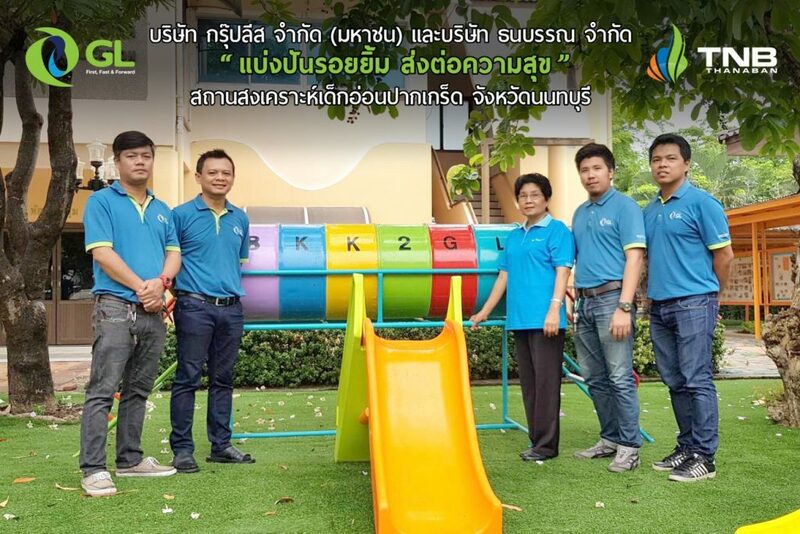 Group Lease Public Company Limited has donated a playground equipment to the Pakkred Babies Home, an orphanage in a Nonthaburi province as a part of its corporate social responsibility program on 1st April 2018.In addition to playground equipment company also donated some food supplies. The company recognizes the importance of child development, and believes that they can be a major force in future development of the nation. The company will continue to pledge to such donations in coming days.